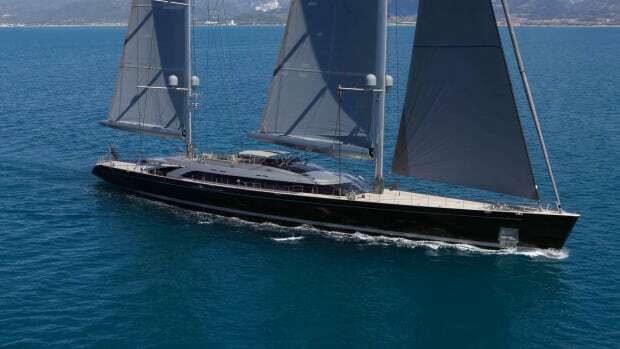 Simply put: Grace E is the most ambitious yacht ever built by the Perini Navi Group. 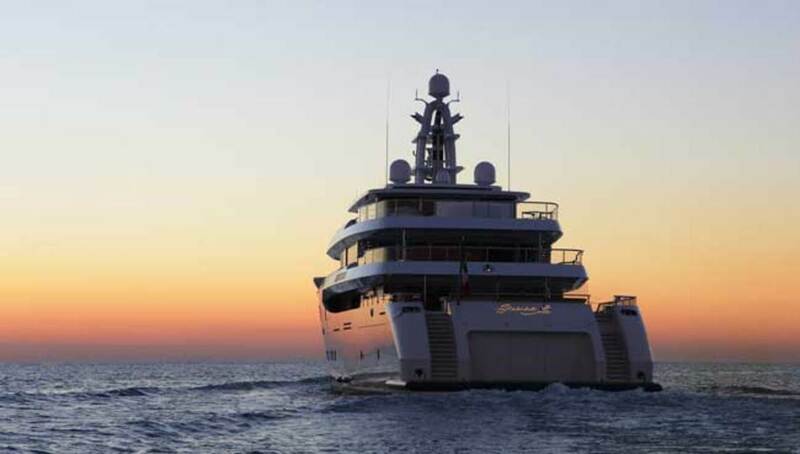 At 239 feet (73 meters) and 1,835 gross tons, she dwarfs 497-gross-ton Exuma and 726-gross-ton Galileo G, her Vitruvius line predecessors at Perini’s Picchiotti shipyard. 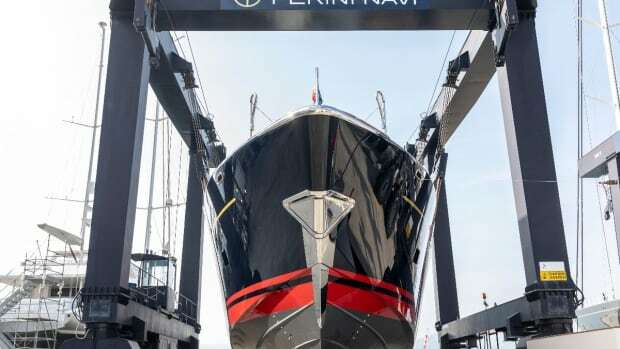 But what really distinguishes the flagship vessel from her smaller stablemates—and indeed from almost every other superyacht on the water—is her diesel-electric and Azipod propulsion. 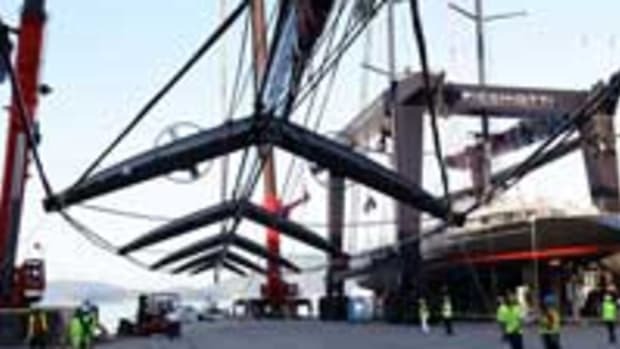 Requested by her American owner from the start, this system alone presented a major challenge for the Italian builder in terms of design, technology, engineering and commissioning. There are a number of arguments in favor of diesel-electric propulsion. Generators can be loaded at their optimal efficiency, thereby reducing emissions and maximizing fuel economy, and onboard comfort is enhanced by near-silent operation in electric mode. 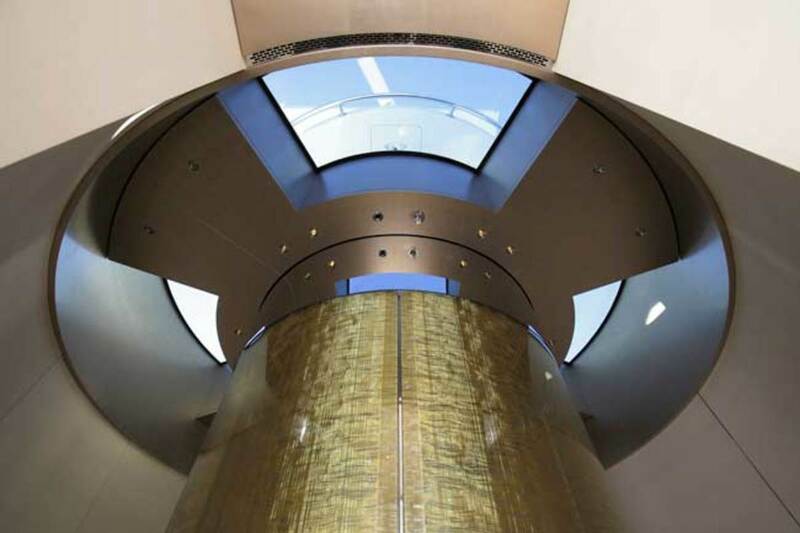 Azimuthing pods offer further advantages over conventional prop shafts with a diesel-electric setup. Grace E is fitted with twin ABB Azipods consisting of a variable-speed electric motor driving a fixed-pitch propeller that can be rotated around its vertical axis. These produce thrust at full torque in any direction for dynamic positioning capability without the need for rudders and stern thrusters. And with no main engines connected to prop shafts inside the hull, the system provides more flexibility in the layout of the engine room. 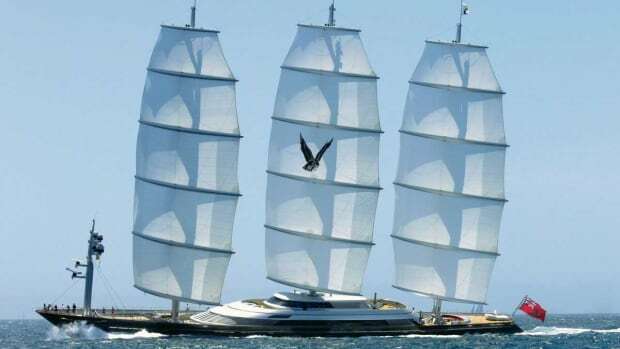 But in practice, there are equally valid reasons why only a handful of superyachts are equipped with such systems. 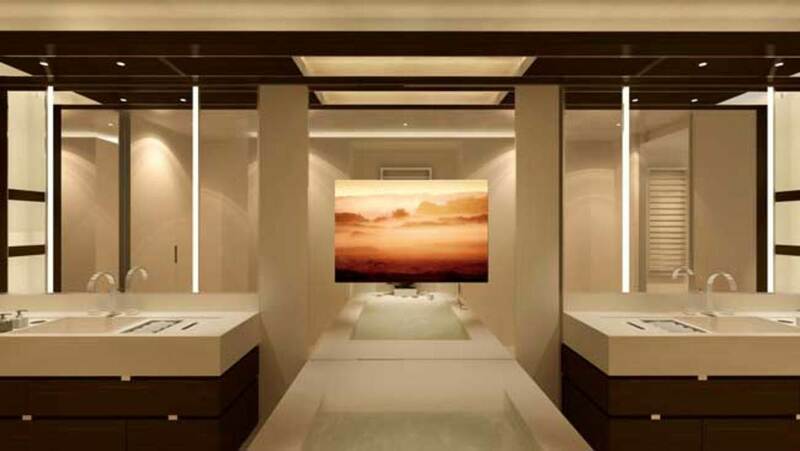 Besides the additional cost, they require more technical space for the multiple generators, frequency converters and switchboards that manage the propulsion and hotel power needs—valuable real estate that could be earmarked for owner or guest use, such as a cinema room. 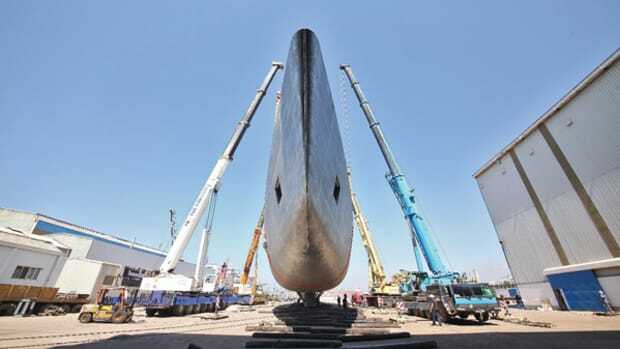 In the case of Grace E, this issue was exacerbated by the relatively narrow beam associated with her so-called Briand Optimized Stretched hull. 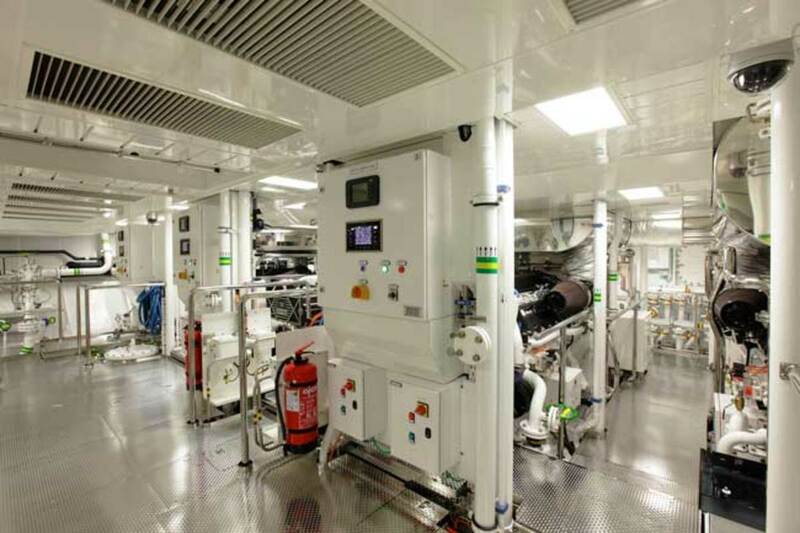 Nonetheless, around 50 tons of electrical equipment is housed in a dedicated and air-conditioned room amidships on the under lower deck just forward of the two-tier engine room. One common side effect of placing so much electrical hardware in close proximity is electromagnetic interference, which can result in malfunctions and flickering lights. Avoiding such problems meant installing line filters and ensuring that several kilometers of cabling were adequately insulated. It also led to the late installation of bus bars. These solid metal conductors help reduce harmonic distortion, improve inductance and can be routed neatly around corners to maintain adequate clearance. 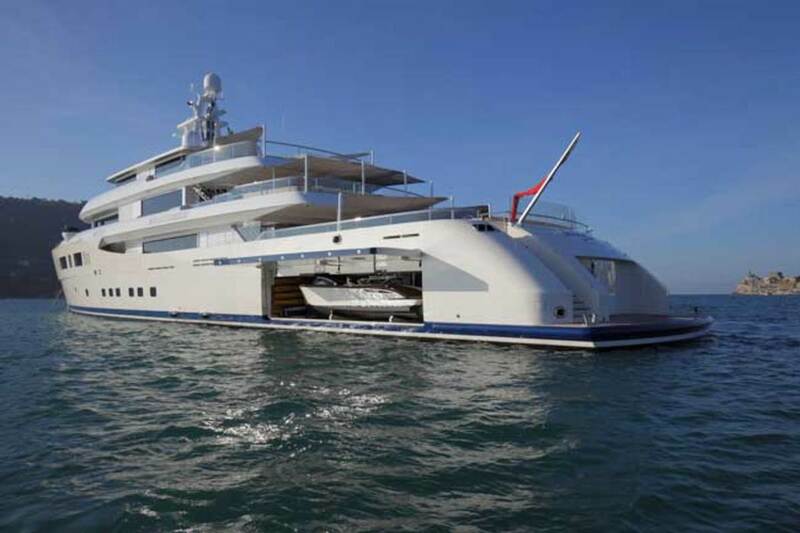 The two Azipod compartments in the aft tender garage mean there is little room for beach club facilities, so the area is dedicated to tender operations with various water toys and a 29-foot (9-meter) limo tender custom built by Cockwells in Falmouth, England. 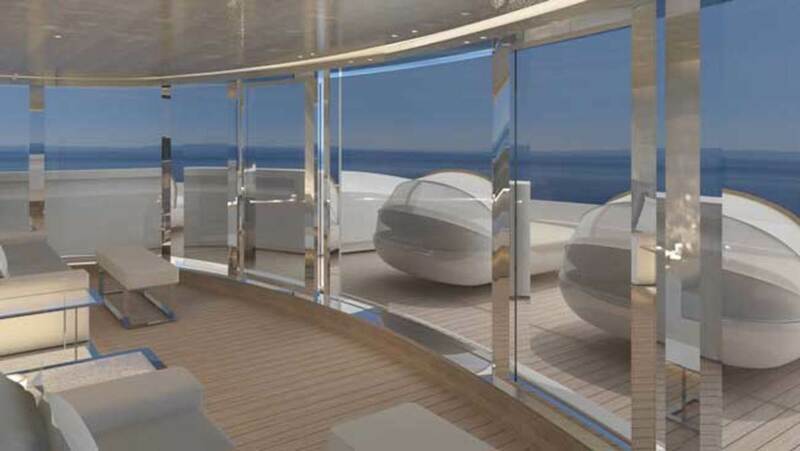 This compromise, however, was accounted for from the start, and the owner opted instead for a panoramic gym, hydrotherapy room, sauna, steam room, massage parlor and forward observation lounge on the sundeck—an area totaling more than 2,500 square feet and connected by an elevator to the lower deck. 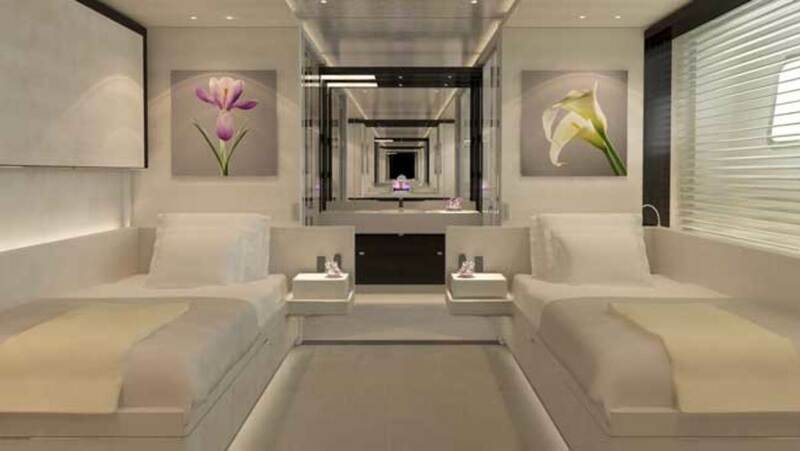 Beyond her engine room and technical spaces, Grace E has a more conventional interior layout than Exuma and Galileo G, which were designed to the personal briefs of their owners. 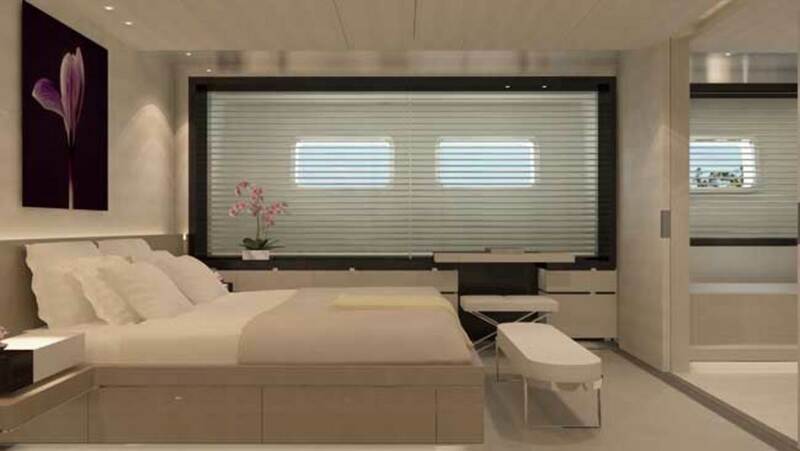 Guest accommodation consists of four en suite cabins on the lower deck and two VIP cabins on the main deck in addition to a full-beam master suite with 1,000 square feet of floor space. 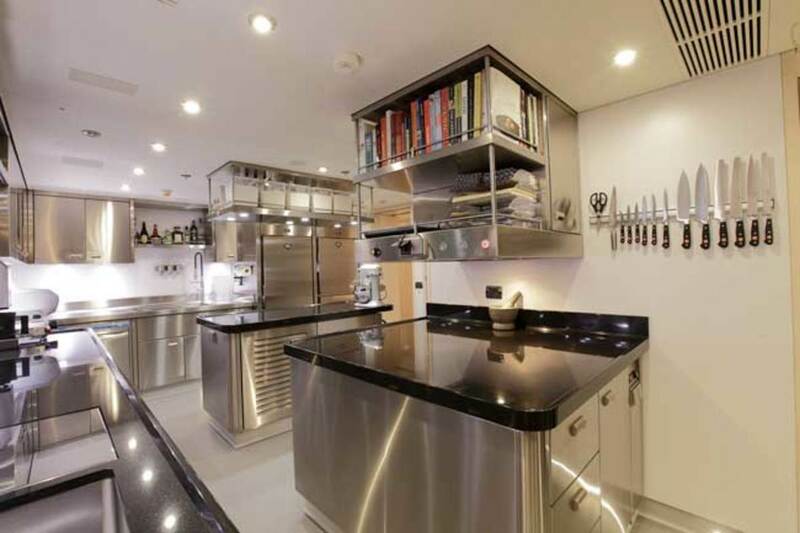 For the interior design, the owner selected the French designer Rémi Tessier after admiring his interiors aboard the Perini Navi sailing yacht Riela (now Asahi). 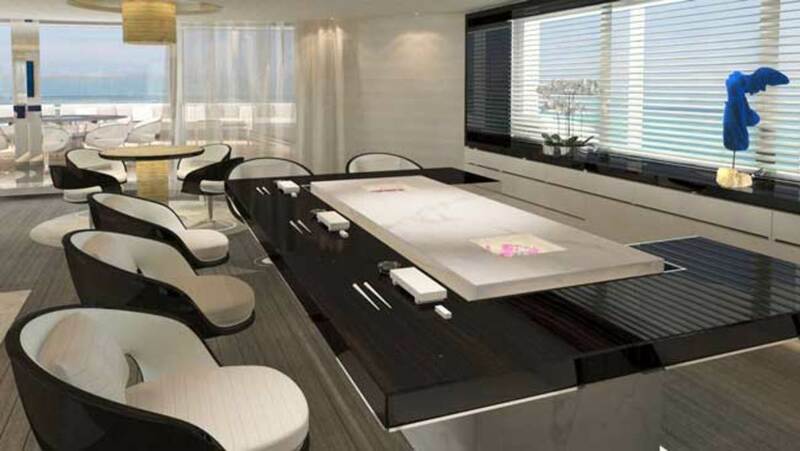 Tessier’s sublime interiors are often based on a palette of signature materials such as wenge, Makassar ebony, brushed sycamore, parchment and polished stainless steel. Grace E features all of these and a sophisticated palladium finish, another Tessier favorite, on the ceilings. Natural and reconstituted limestone adds a touch of warmth to the heads, while plenty of glass and backlit white onyx create a light and airy ambience. Hand-woven silk and wool carpets or leather floor tiles, which will develop their own patina over time, provide a tactile texture underfoot. The sycamore wall panels, which are bleached as if by the sun and sea salt, are contoured and rippled to create a texture like wave-blown dunes—an effect mirrored in the bespoke, sand-colored carpeting. High-gloss Makassar ebony and an occasional graphite resin finish complement the weathered textures and tones. The clean contours, consistent materials and natural fabrics of pale aqua and light gray are punctuated with playful details, such as the tiny “windows” of backlit rock crystal in the stairwell. 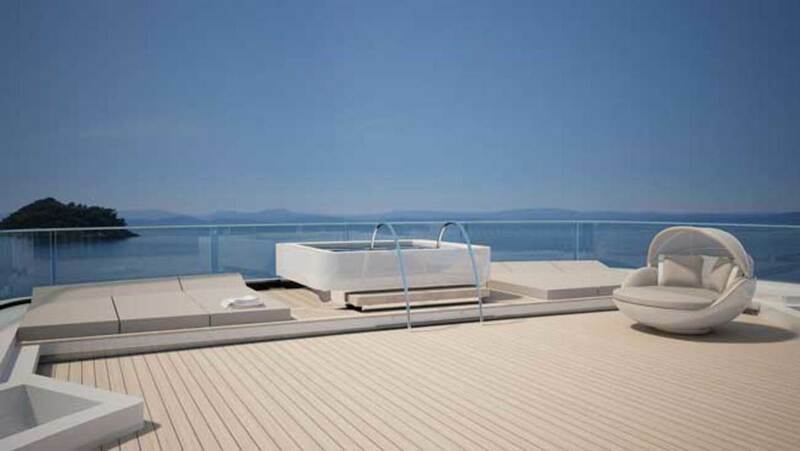 The 22-strong crew are well catered for with generous dining and entertainment areas on the under lower deck, including their own gym, and well-appointed cabins on the lower deck. 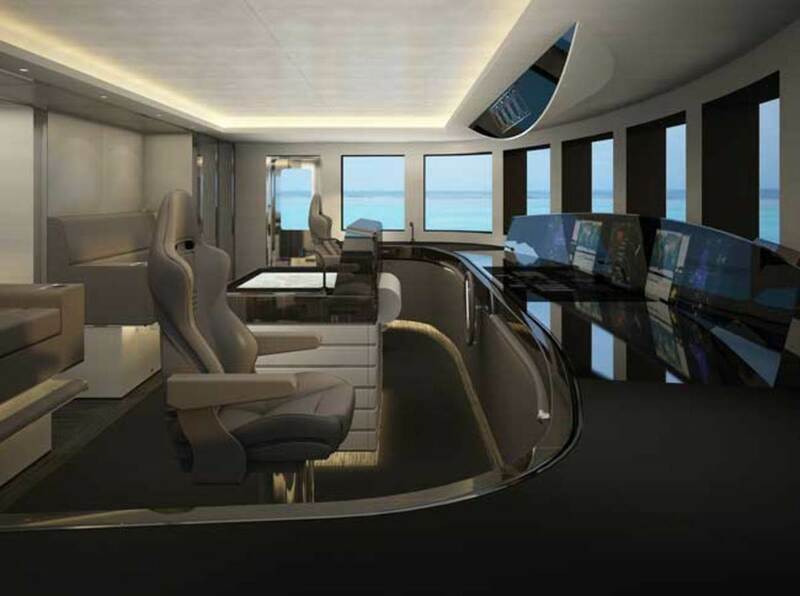 The bridge is ergonomically laid out, and Cooney requested that the nav-con functions be replicated on both sides of the bridge, allowing him to entertain guests on one side while the yacht can be unobtrusively operated from the other. A pantographic victualing hatch close to the galley and cold stowage rooms on the lower deck opens upward and lays flat along the hull to allow the garbage boat or the tender carrying supplies to moor alongside. With an eye to operational functionality, the door has a small viewing window so the crew is able to see when the boat is in position. 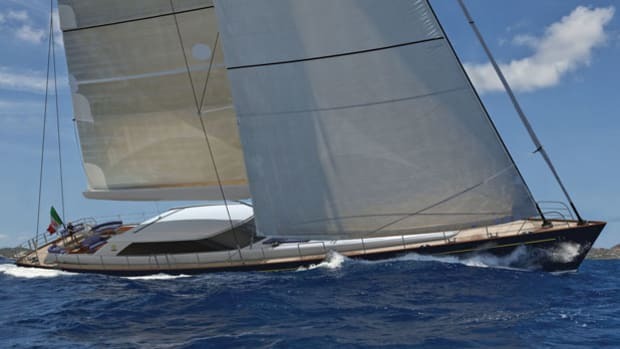 Because the operational parameters of the Azipods depend on the hydrodynamics of the hull and need to be fine-tuned on a case-by-case basis, commissioning of Grace E took longer than a comparable yacht with conventional propulsion, and delivery was delayed. 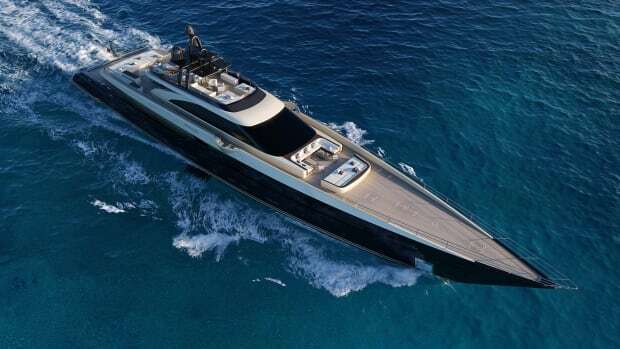 However, the sea trials exceeded expectations in terms of performance, noise and vibration. With no shafts or struts to create drag or transmit vibration, noise analysis at top speed recorded a hushed 46 decibels in the owner’s suite and 47 decibels in the main salon. 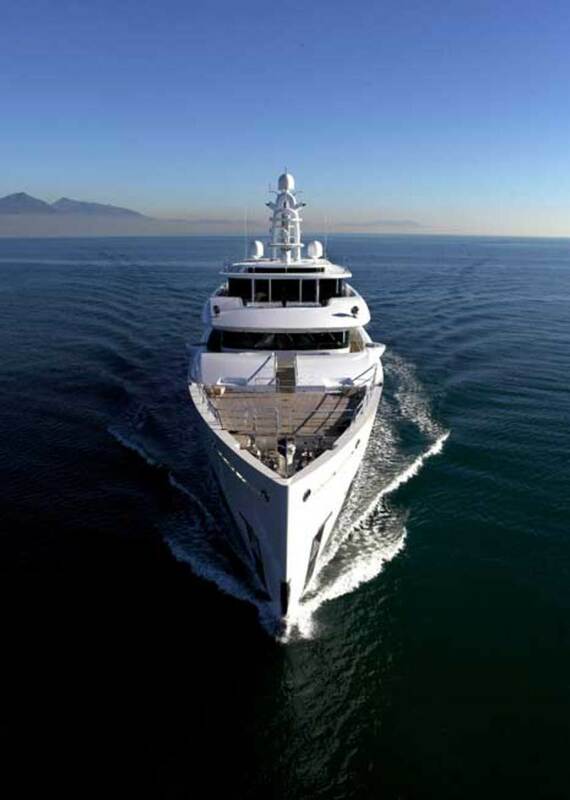 Moreover, the dynamic positioning system allowed the yacht to stay on station in up to 35 knots of wind, and her range at 12 knots was a globe-trotting 7,500 nautical miles. 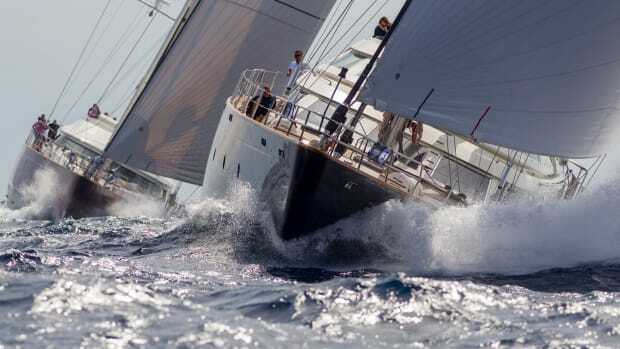 When they decided to build Grace E, Bob and Christine Stiller explored several international shipyards and ultimately settled on the Perini Navi Group. The Stillers are no strangers to yachting. Bob grew up on New York’s Long Island sailing small boats. As a young man, he delivered sailboats. 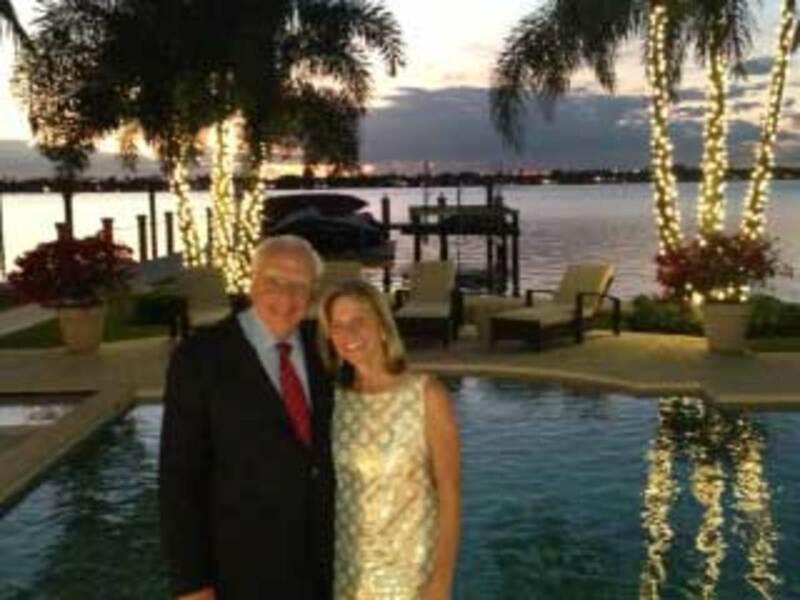 Christine’s foray into boating began on her first date with Bob when he invited her aboard his 30-foot Sea Ray. Fast forward to the mid-1990s. The Stillers, married with three children, became acquainted with the joys of chartering. 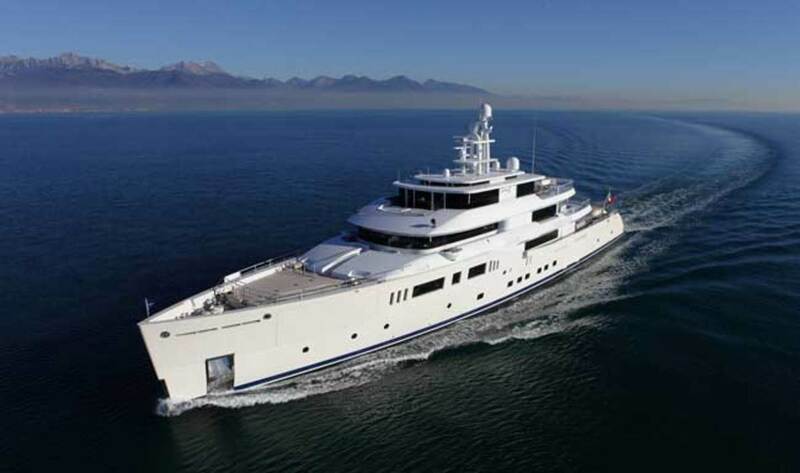 Eventually they purchased a 164-foot (50-meter) Codecasa—their first Grace E—named after Christine’s mother. 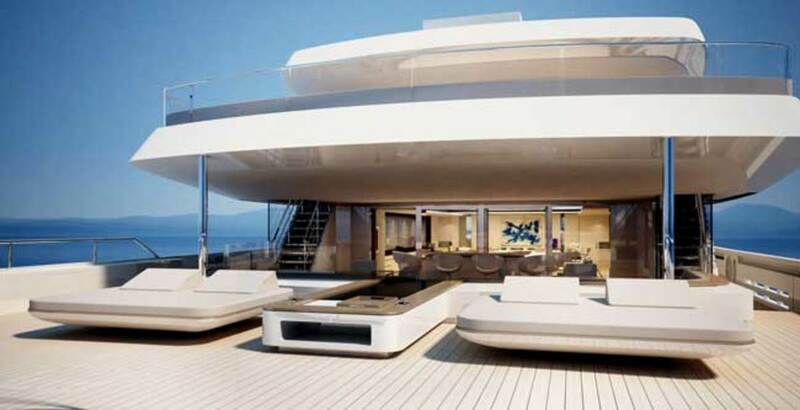 Their extensive use of that yacht made them realize they were seeking more, and only a custom build would yield precisely what they wanted. Bob says he still has the “soul of a sailor” and likes to be close to the sea. It was Bob who pushed for the innovative diesel-electric propulsion system with Azipods. “We chose it thinking it would save on fuel consumption and be better for the environment,” he says. Grace E works well for the couple, inside and out. “When we met Rémi Tessier, we knew right away we would enjoy working with him,” Christine says. 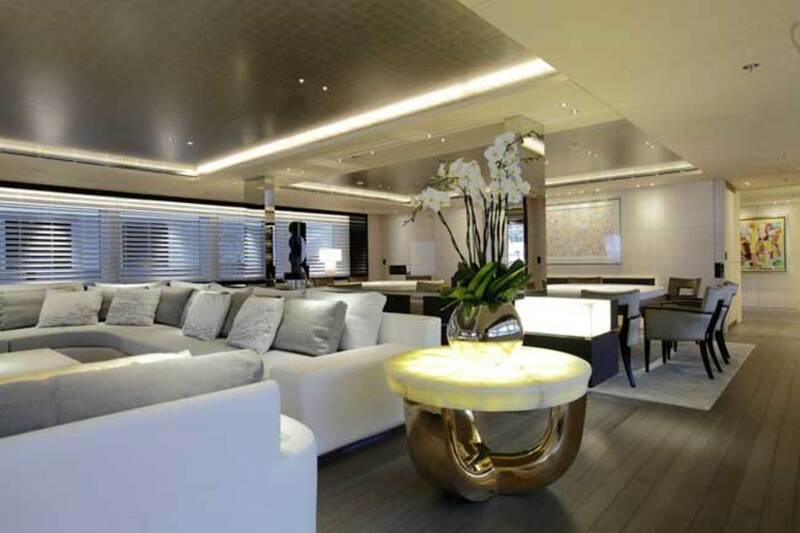 The flow and aesthetics of the yacht are very much in keeping with the Stillers’ lifestyle and their homes. Christine also extolls the virtues of life aboard where one has a constant change of location without ever packing. World travelers, the Stillers agree that not even in the finest hotels can one experience the same level of service that they have 24/7 aboard Grace E.
“At sea, there is that ingredient of being with nature that is so special to us—a quiet energy and peacefulness that is unique,” Bob says.